1. Where designer Jeans Go to Die! 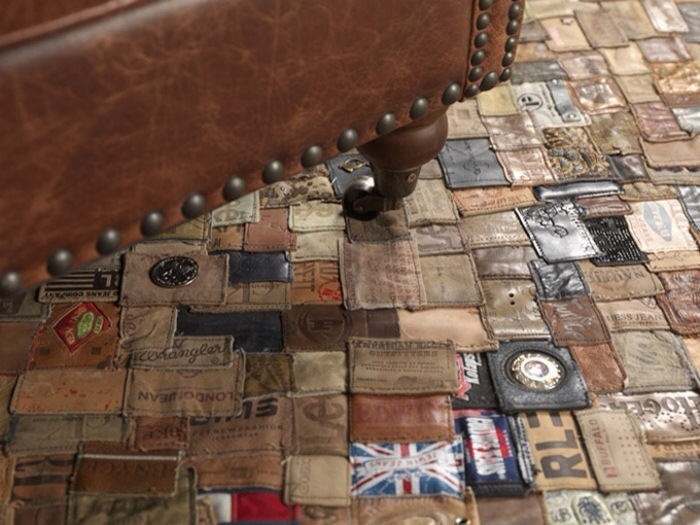 The design was made under the slogan “Recycle” and laid in the patch-work style using discarded jeans, featuring high stability and durability. 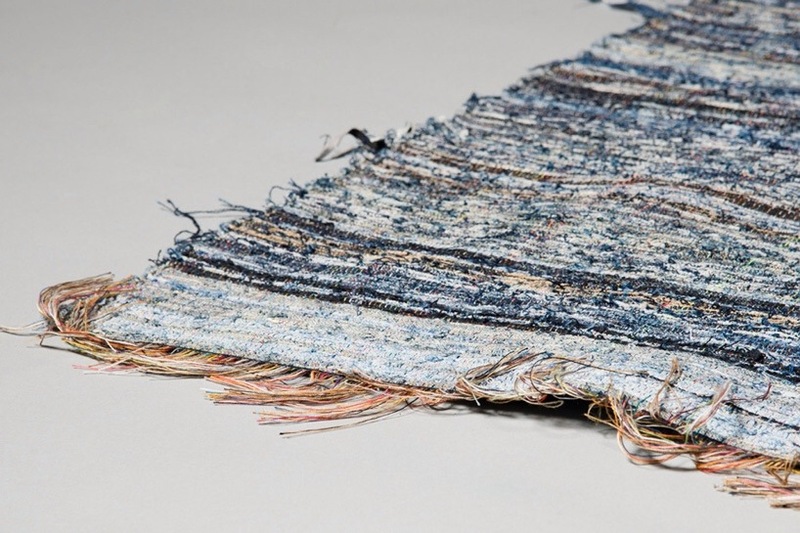 Conceived as part of the ‘post-recycled jeans initiative’ by swedish label nudie jeans, a series of scandinavian influenced denim rugs are produced with the remains of the company’s worn-out and destroyed pants. Developed by cutting the worn textiles into jagged sections, the fabric is then rolled-up and sewn together. Made in turkey, the rugs measure 2000mm x 1500mm and will be available exclusively at the nudie jeans house in L.A and concept stores around the world from 2012. 3. Who Likes My Wide Brimmed Chapeau? 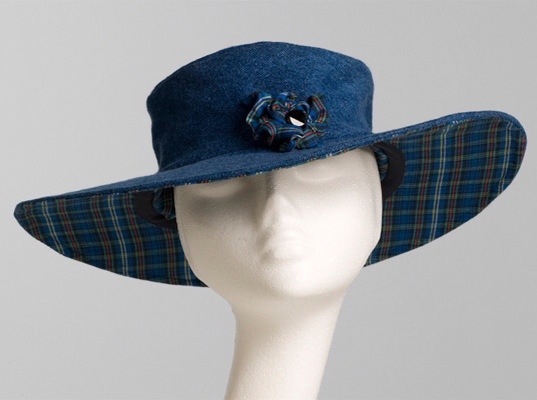 Susan Moorhead is the designer behind this denim clad sunhat. Susan just loves denim, loves recycling, and Ioves hats, so this sunhat is an obvious design for her. The plaid lining adds and extra point of interest. 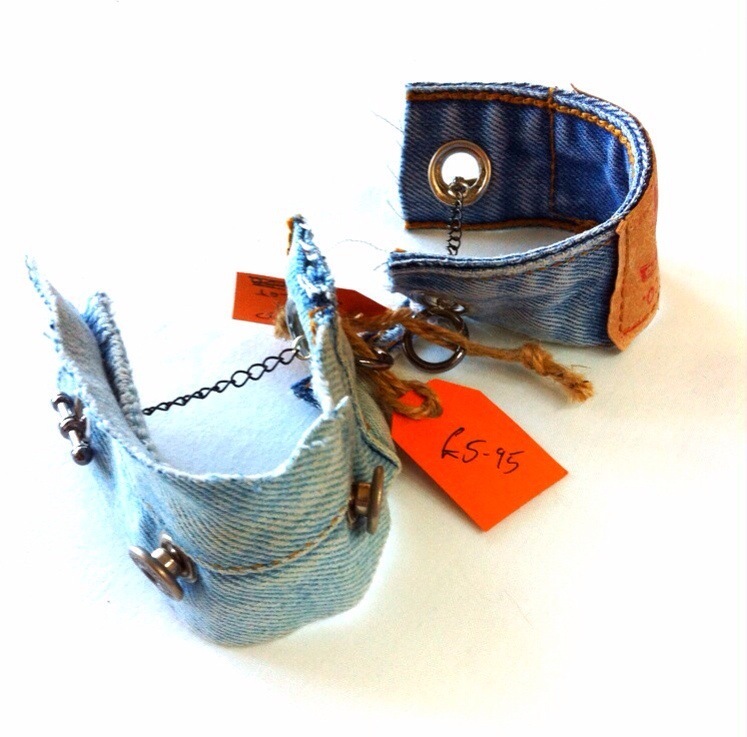 These trendy recycled jeans cuff wrist bracelets are a great accessory for a Rock Chic or Cyber Punk look. 5. 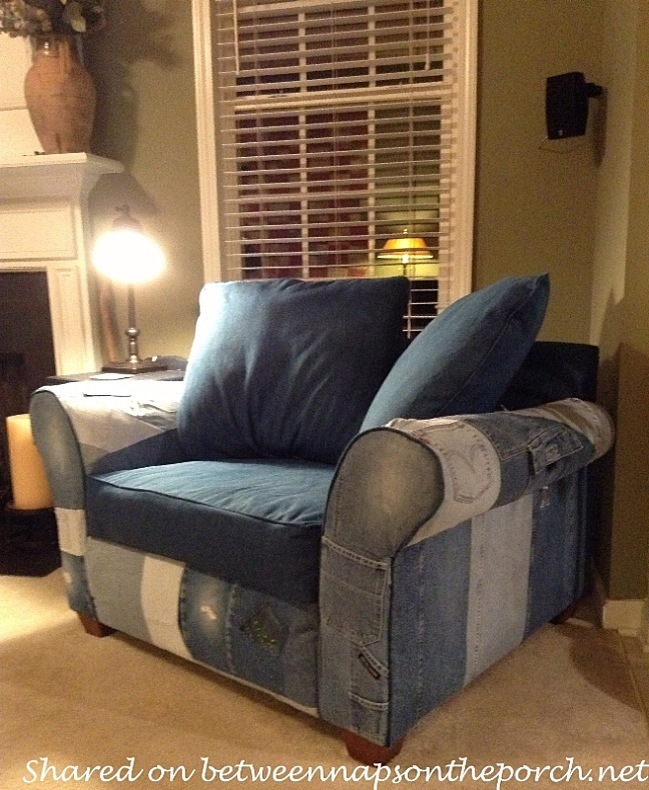 Denim Do Over: I Got This Covered! Susan started by cutting 3 old pairs of jeans she had into many useful things to use in the home, and ideas have grown into a full time hobby! 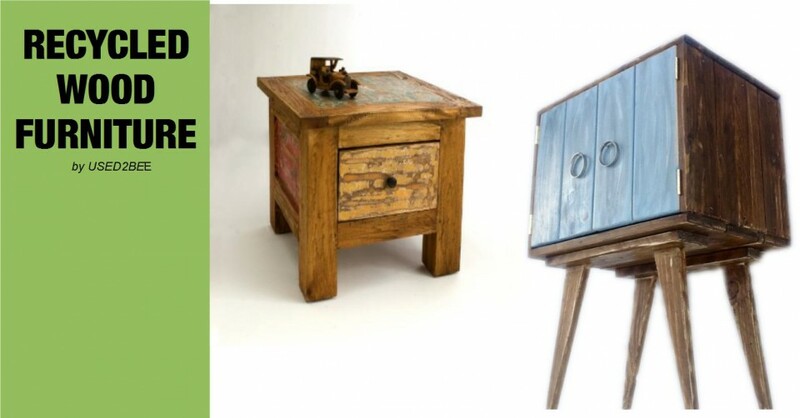 We have made something similar too with a 3 piece corner suite bought at auction in 2011. This was a wonderful centrepiece at our warehouse reception room until it was sold later that year!